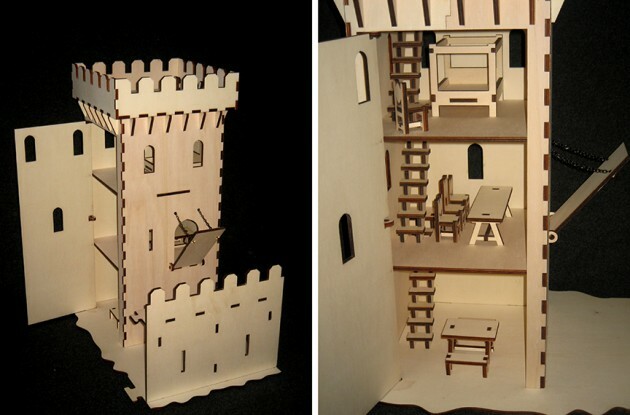 I’ve built my share of laser cut catapults and trebuchets in my life, but an entire laser cut castle attack scene? If I could be so lucky. GrabCAD user Andrea Garuti made it happen with his ‘Castle under attack’ entry that won the SolidSmack Laser Cut Toy Design Challenge. Ponoko sponsored a free laser cut of the winning entry and we’re excited (and a bit jealous) to see the results. Load the (Laser cut) Captapult! That there is one happy little kid. 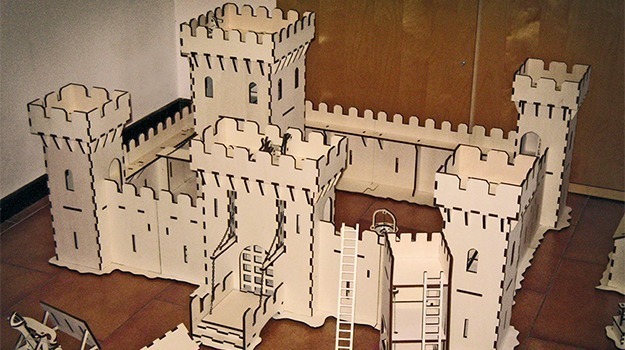 Who wouldn’t be overjoyed with a wooden castle toy you can sit in and defend from the onslaught of your friends? When I first saw the castle, I had no idea it was this big. As you can also see below, the castle attack weapons are nothing to balk at either. Ponoko posted images and a story on the completion of the project. Andrea’s inspiration came from the medieval history near his home town of Modena, Italy with many features you would see on an ancient castle. It’s not simply an exterior castle-facade either. 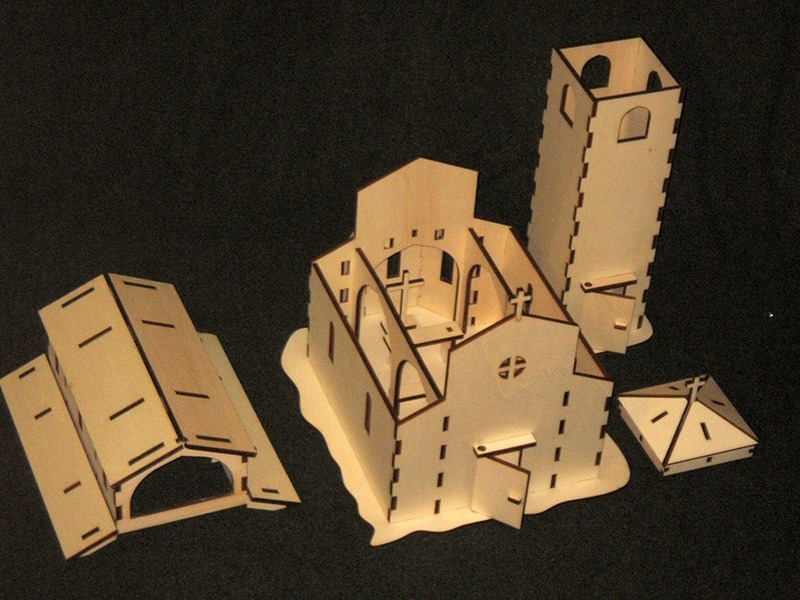 Andrea constructed towers, bridges, parapets and interiors housing ladders, chairs and more. 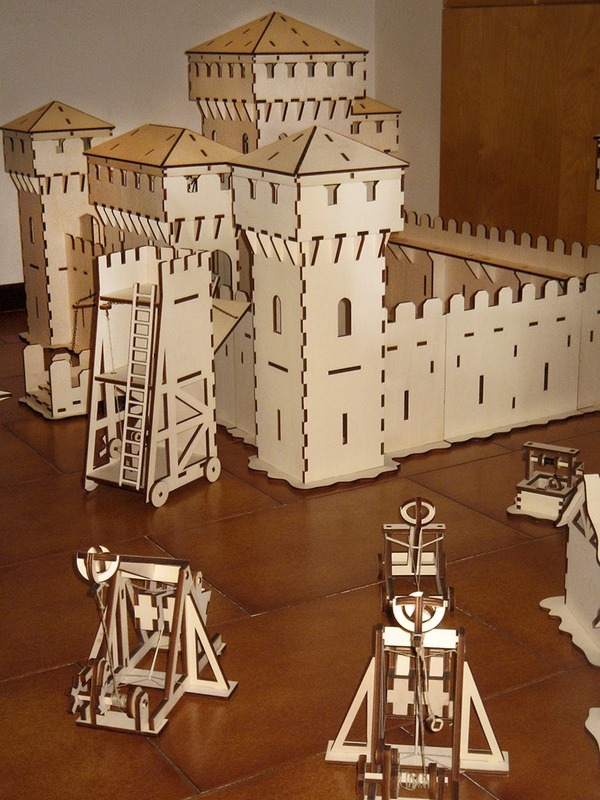 Outside he has a cathedral, well, working catapult and trebuchet, along with various other defenses and implements to carry on a proper castle attack. 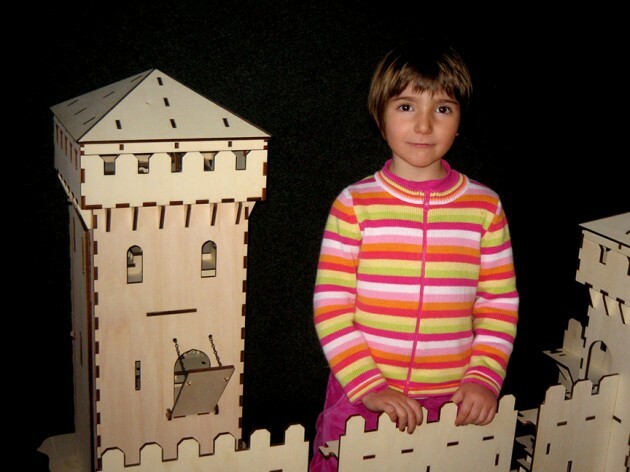 Here is a video of Andrea demonstrating the working trebuchet.